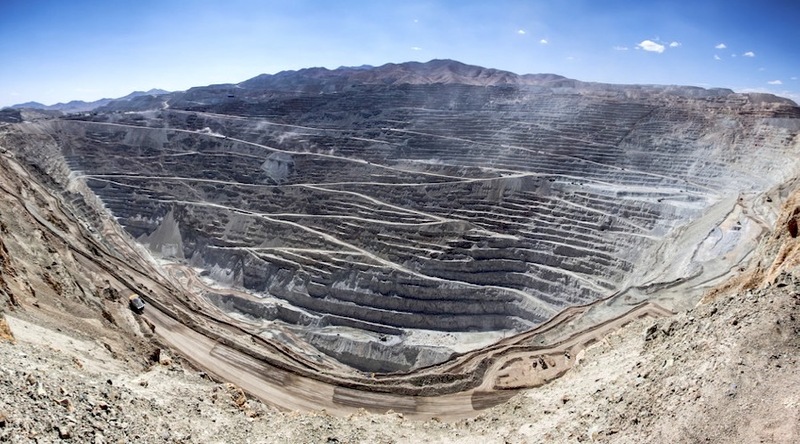 Chuquicamata is the second deepest open pit mine in the world, and one of the biggest producers of copper. As of September 2018, blasting and digging has ceased and tunnel mining is set to resume. Whole communities have been supplanted by the encroachment of overburden from the mine, the tailings piles behind this playground move closer with every day.